English Club TV, the internationally renowned educational TV Network for studying English, has announced its upcoming launch in the USA and Canada. As of September 1, 2016, English Club TV will appear in the region on the Hispasat 30W-5 satellite. The channel will be provided along with its content that could be monetized through OTT, VOD, DTH, IPTV and mobile platforms. The distribution of the English Club TV channel to the operators in North America will be managed by the Media Case Corp. company headed by Leonid Lazovskiy. “We are really happy to go further in Americas in order to spread the English Club TV channel across the territory. North America is a dynamic migration region, with more than 54 million immigrants in the USA and Canada. According to the Migration Policy Institute, about 50% of the immigrants in the USA aged 5 and older are Limited English Proficient (LEP). It means that more than 23 millions of those immigrants are not fluent in English. 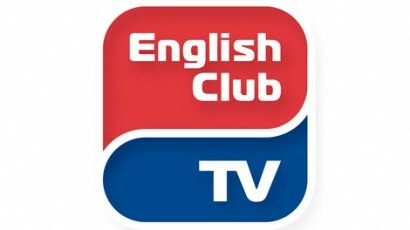 English Club TV is an educational TV Network for those who study English. It is broadcast in more than 76 countries in Europe, Asia, Africa and Middle East. For more information, please visit our website http://english-club.tv/news.